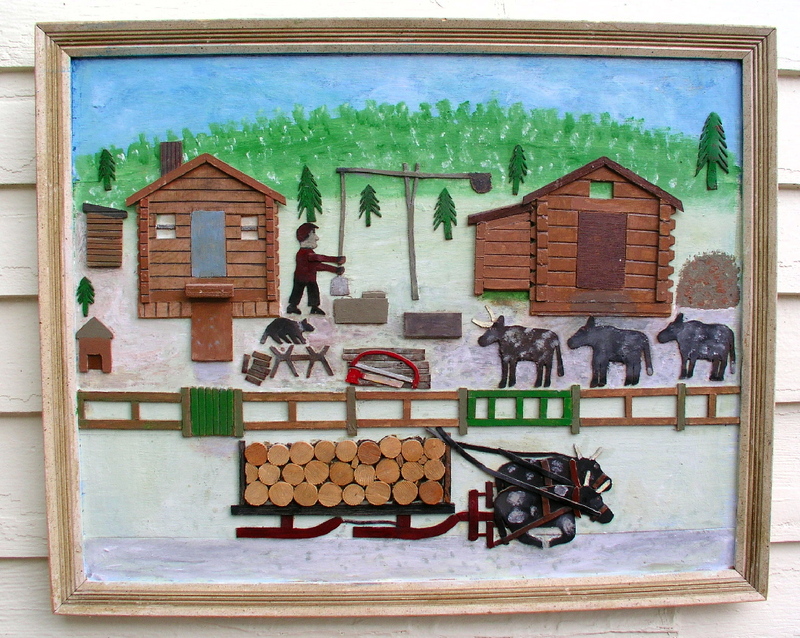 Ewald Rentz (1908-1995) is one of Ontario's most recognized and respected folk artists. 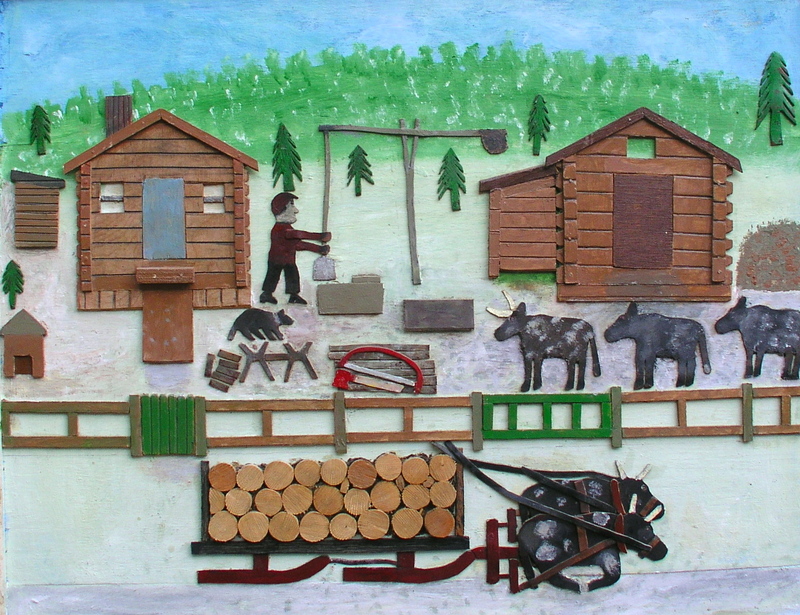 Born in Saskatchewan to German / Hungarian parents, Rentz moved to the small Northern community of Beardmore Ontario as a young man and laboured as a prospector, musician, lumber camp cook, and finally barber before beginning to make folk art at the age of sixty five. He was discovered by collectors in the 1980s and since then his work has made its way into important government and private collections in Canada and across the world. 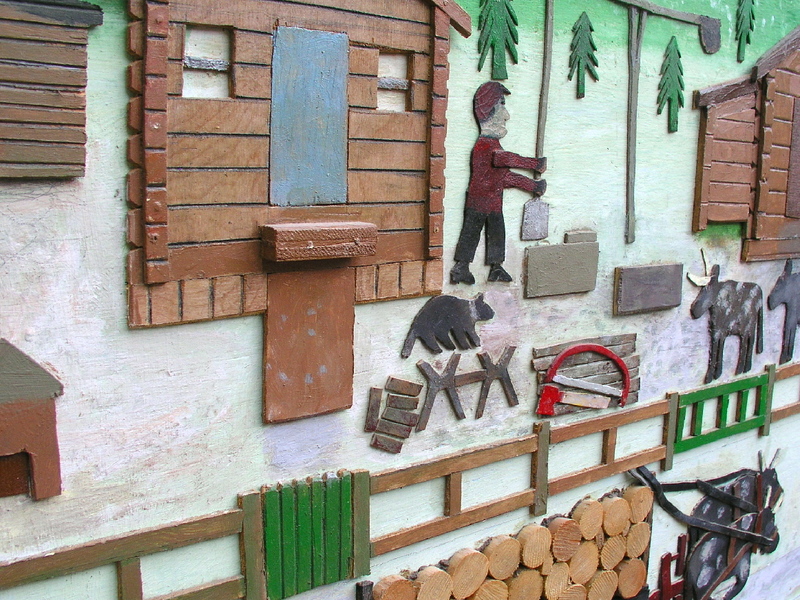 Ewald Rentz died in 1995 at the age of 87.Here's a link to a bio: http://www.folkartcanada.ca/Ont_ER.html. Although Rentz was a prolific carver, this is one of a relatively few relief paintings that he created. It depicts a lumber camp in winter, which is important to his story as he ran a lumber camp as a younger man, and was responsible for saving several lives when he convinced his men to stay and fight a forest fire rather than retreat. You can see in the close up that he applied wood and leather to the painted board surface. This painting was in his personal collection when he died and is unsigned. Circa 1970. Excellent original condition. 24" x 30 1/2".